Fortnite has become a money-making machine, not just for Epic Games but for teenage hackers as well. Some teenage Fortnite hackers — some even as young as 14 — are reportedly earning thousands of dollars a week by stealing accounts and selling them. How much are teenage Fortnite hackers earning? The BBC spoke to about 20 Fortnite hackers, who said these stolen accounts fetch between 25 pence (or about 30 cents at the current exchange rate) and hundreds of pounds. One hacker told the BBC that he got involved after his own account was stolen. He took to Twitter to complain about his account being stolen, and then a mysterious group approached him. “I was approached by someone who said I could buy an account for 25p and I could clearly see the account was worth a lot more. I bought it,” he told the news outlet. The group then taught him all about the trade, like how to find usernames and passwords, where to buy hacking tools, and how to sell stolen accounts. Such groups have access to account information on thousands of users because of data breaches over the past several years. According to the hacker, he was able to take over more than 1,000 accounts in a day using his newly-acquired knowledge. Presently he sells accounts on behalf of hackers. He told the BBC that in a few weeks, he earned about £1,500 (or $1,900). Another hacker who was just 17 years old told the news outlet that he has earned about $20,000 so far in his seven months as a Fortnite hacker. A 15-year-old hacker from France said his maximum earnings in a week reached £2,300. One hacker even sent the BBC proof of income, which ranged between £50 and nearly £300 a day. How is a stolen Fortnite account valued? 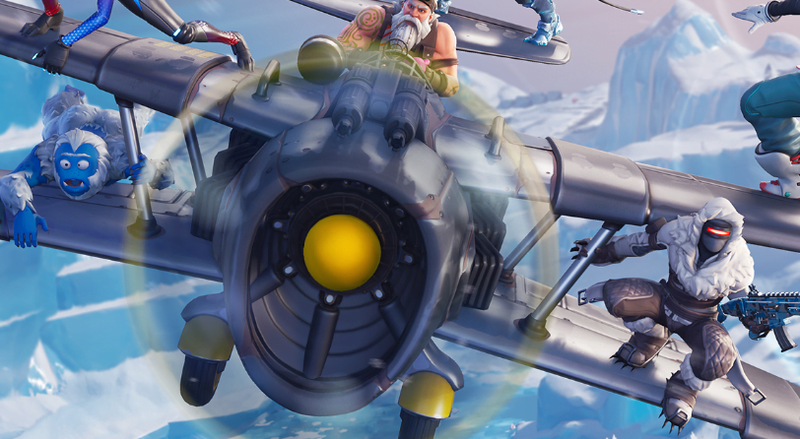 Fortnite is a free-to-play game, but Epic earns money from in-game cosmetic items like skins, emotes, pickaxes and more. Such a business model has helped the game developer to earn over a billion dollars in revenue from the battle royale game. The game has more than 200 million players. The game also allows players to show off all their purchases and collections via their Fortnite locker. This is what lures players to buy stolen accounts; they’re able to show off their collection of cosmetics to their friends. The same lockers enable Fortnite hackers to identify valuable accounts. How much a stolen account is worth depends on the cosmetics items attached to it. Although such items don’t offer any competitive advantage in the game, many of them are extremely popular in the Fortnite community. Adding to their value is the fact that some of them are extremely rare. For instance, cosmetics like the Skull Trooper skin have been seen just once or twice in the game. A stolen account with plenty of rare and expensive cosmetic items sells for more than others. “It’s lucky dip basically, you either get a good account or you don’t. People like the rarity of the ‘skins’ and it’s about the look of them and showing off to friends,” one hacker told the BBC. The National Crime Agency told the news network that the connection between video games and hacking is not a new thing, and publishers have to come up with more measures to keep players from committing such crimes. The gaming industry must work closely with “law enforcement and looking at early intervention messaging on their platforms to divert [youngsters] on to a more ethical and legal path,” NCA gaming lead Ethan Thomas told the BBC. This is probably why Epic is always asking players to use two-factor authentication (2FA). The developer has long been encouraging players to enable it on their accounts. Epic even offered free emotes to players for enabling 2FA. Enabling two-factor authentication strengthens your account security. Akhough it does not guarantee full protection, it does make it harder for hackers to break into your account. Even hackers admitted to the BBC that accounts with 2FA enabled are extremely hard to crack. The importance of 2FA is evident from the fact that Fortnite hackers themselves use it to lock out the original owner after they steal an account.